Arrested in Massachusetts for Malicious Damage? Malicious damage of personal property is a charge that is usually associated with vandalism and graffiti, or a personal or domestic dispute that gets out of hand. It is sometimes known as criminal mischief. If you made a mistake and lost your temper, I understand that these things happen. You may feel bad about it and want to plead guilty, but that doesn’t mean you should be punished harshly for a temporary case of anger or bad judgment. I will defend you and argue that a bad decision, lashing out in the heat of the moment and breaking someone’s property should not result in a permanent criminal record. I will argue that the interests of justice demand that your charges be reduced or dropped, in exchange for paying for the damage. However, if you are wrongly accused by a vengeful former friend, girlfriend or boyfriend, then you need someone in court who will fight for you and argue that the charges are wrong, unjustified, and provable, and that the case must be dismissed. Whatever happened, please contact me for a free consultation. I’ll let you know what I can do to protect your interests. That’s what I do. Conviction for malicious damage of personal property can be punishable by imprisonment for up to 10 years in prison, and a fine of $3000 if the cost of the damage is greater than 250 dollars, or up to 2 1/2 years in jail. If you are facing Malicious Damage to a motor vehicle, the penalties are even more severe. See malicious damage to a car/vehicle. Also according to Massachusetts Malicious Damage laws, you can be fined up to 3 times the value of the property damaged in any such case. Consult with a Mass criminal defense lawyer as quickly as possible to preserve all of your defense options. 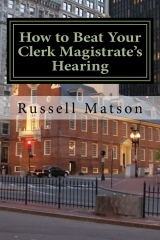 In many cases, it is possible to get malicious destruction criminal charges dismissed with restitution, specifically if you are cited to appear at a show cause hearing, or Clerk Magistrate’s hearing. We can often work out a deal with the magistrate that if you can pay for the damages, the charges can go away. Other defense strategies vary on the circumstances of the case. The DA may not be able to prove that it was you that committed the damage. If you are charged with malicious damage of property over or under $250 in value, malicious damage to a motor vehicle, destruction of private property, or another criminal offense, call me now at my offices in Braintree, MA to schedule your a phone consultation or appointment now. There is no obligation.